People mix different tasks across tabs and browsers, using external messaging and note-taking applications to support web browsing. Managing these tabs in parallel is often associated with inefficiency, high stress, and high cognitive load. 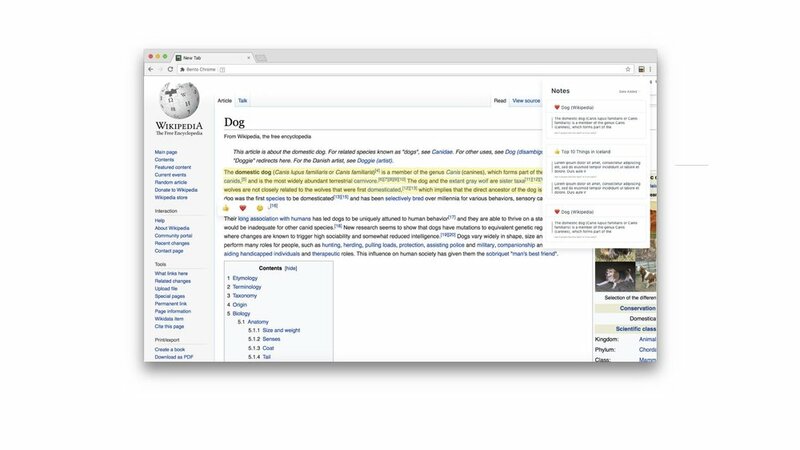 Bento Browser is a Chrome extension that investigates alternatives to tabbed browsing, integrating in-search organization, annotation, artifact creation, and collaboration. I worked on this project under Niki Kittur at Carnegie Mellon's Human Computer Interaction Institute with a team of researchers and designers. I focused on the desktop experience of investigating how people browse and parse information on the web. Tabs are often used to combine tasks and subtasks, including current activities, to-dos, and items to look back on later. It’s common for people to open a bunch of tabs, but not to close them. The queue explores adding an additional level of hierarchy to web browsing in order to relieve the number of roles a tab takes on. Items in the queue are saved to a reading list that can be easily accessed later. Most active reading techniques have approached reading in a general sense, regardless of the context or goals of the user. We looked at ways users select and markup information for different goals and interfaces to incorporate annotation tools that best fit goals for a type of task. 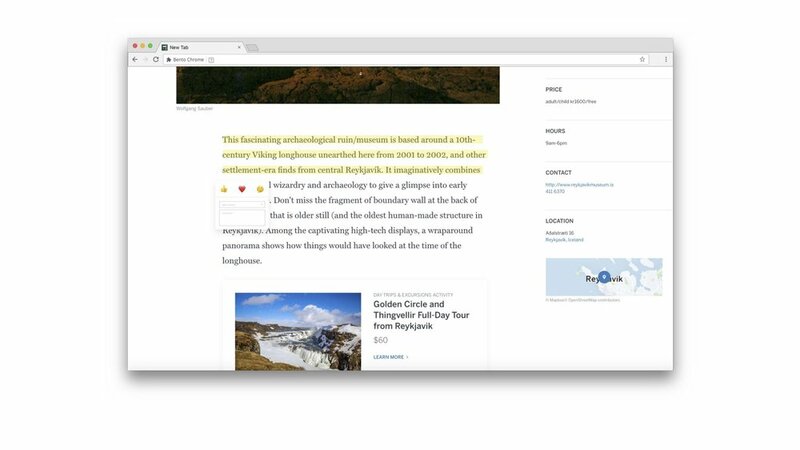 In Bento, users can save, react to, and markup content on web pages, which can be further stored via a dropdown. This supported the desire to keep raw data and collect different types of media. Users can collect, filter, and synthesize content in a notes board, where notes can be grouped and organized further into an outline. 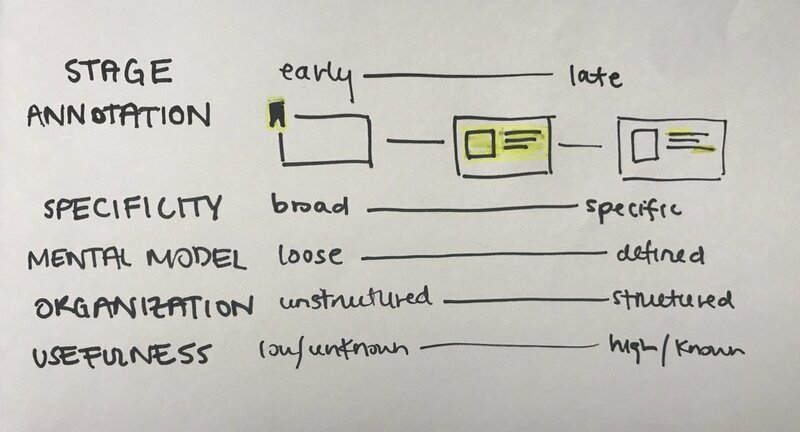 This supports decision-making for users from the stages where the role of information is ambiguous to stages where this becomes clear. When it comes to collaboration during web browsing, many external applications may be used, but it is often hard to know what others have read, retrieve shared resources, and distill information collected. Bento provides methods to support asynchronous awareness, giving users the ability to see and respond to the progress of collaborators, both individually and as a group. I worked on Bento on a weekly basis, conducting research, sketching out ideas, creating mockups, iterating, and discussing work with other designers and engineers. Thanks to team members Shannon Lin, Bettina Chou, and Amy Lin.